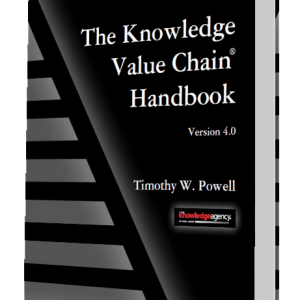 The Handbook is a self-contained, low-risk way to evaluate the fit of the KVC approach with the challenges you face in your organization. 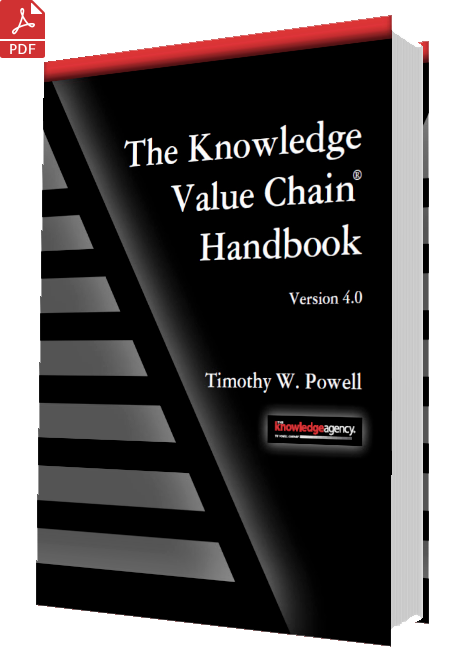 The KVC Handbook – Version 4.0 is a 129-page electronic book containing slides, text, and discussion and reference materials. It explains in detail the seven-step transformation of data into enterprise value. It’s ideal for training knowledge producers and users, for diagnostic and corrective interventions, and for reference. The Handbook itself embodies an innovative high-value approach to conveying practical business information. It contains a minimum of business jargon, and key points are headlined in bullet points. Dozens of full-color illustrations make it easy to understand and apply. It’s ideal for anyone whose time, attention, and tolerance for opaque “consult-speak” are stretched thin. 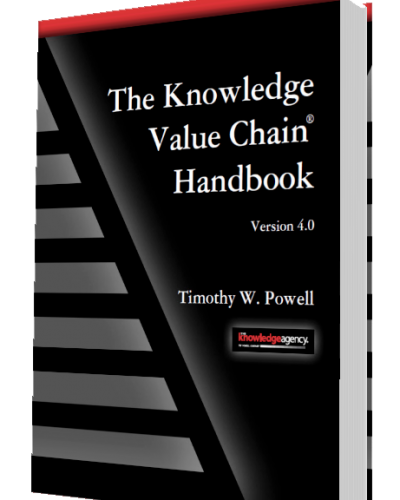 In short, The KVC Handbook is not a conventional business book. That’s not what our clients wanted, and not what we intended. So then, what is it? It’s an ideation engine that helps you use data, information, intelligence, and knowledge more effectively. You will read through the Handbook in one or two sittings — and soon be ready to apply it to solving your challenges. The Handbook includes the KVC Scorecard™, a self-assessment tool you can use to troubleshoot and increase the ROI of your own research, intelligence, and other knowledge assets. Though written in English, the Handbook has been ordered from around the world. It has been selected as a required textbook by Columbia University’s innovative Information and Knowledge Strategy program.